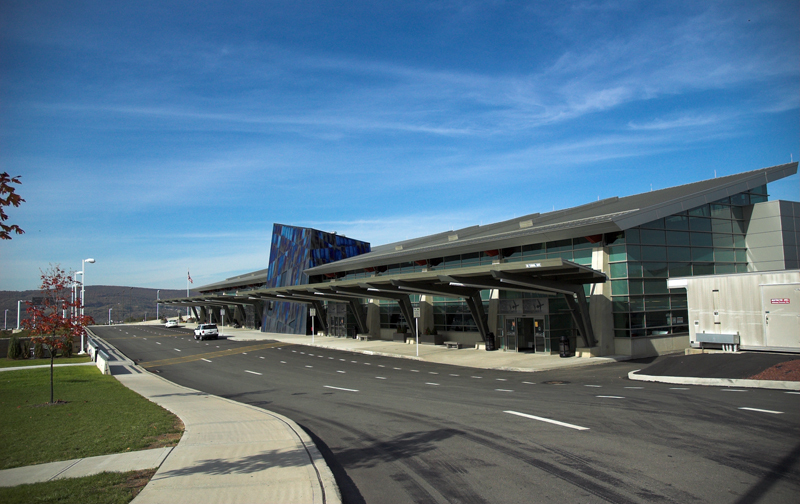 Highland Associates provided engineering and interior design services for the new Joseph M. McDade Terminal Building at the Wilkes-Barre/ Scranton International Airport. 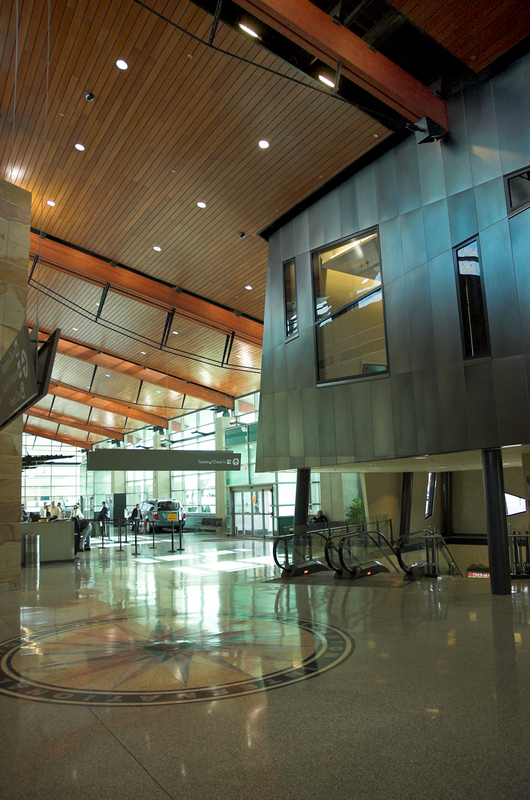 The new $41.5 million, 131,000-square-foot multi-level terminal was designed to handle 360,000 or more passengers each year. The structure includes a concourse with eight boarding gates, six of which include a passenger-boarding bridge. The building includes general circulation and holding areas. 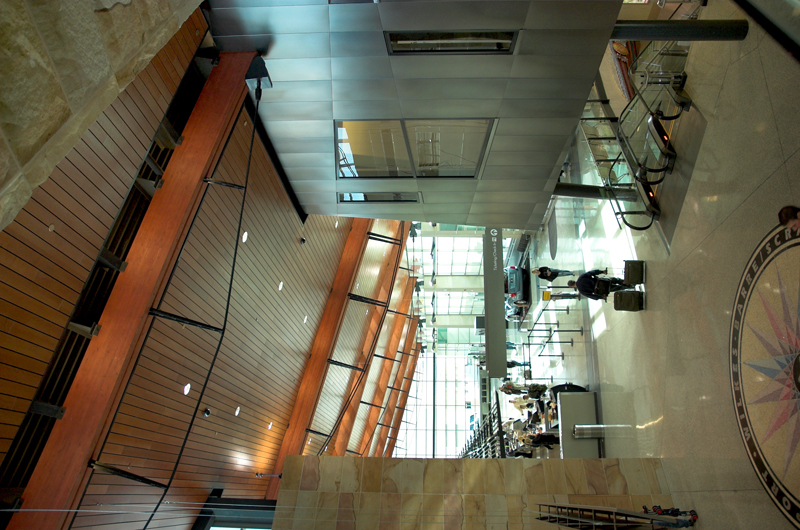 The main level of the terminal includes airline ticketing, ticket queuing and baggage claim and rental car counter areas. 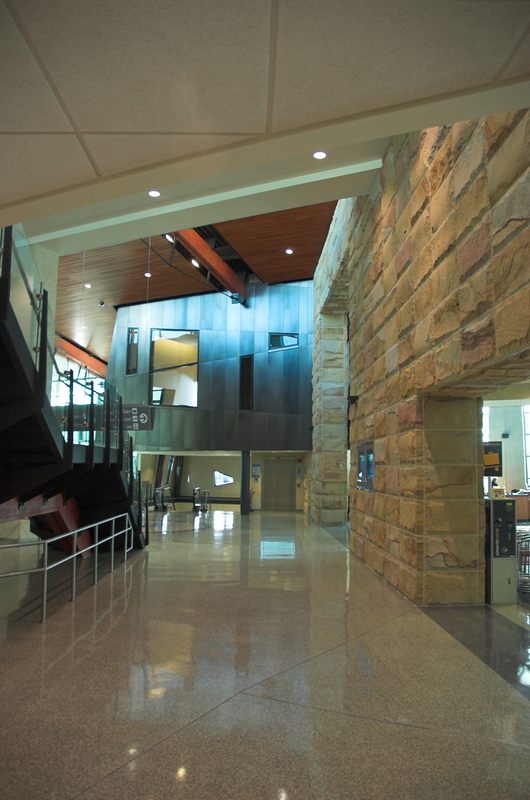 Upstairs, people can greet passengers arriving at the airport, eat dinner, have a snack or visit the newsstand/gift shop. 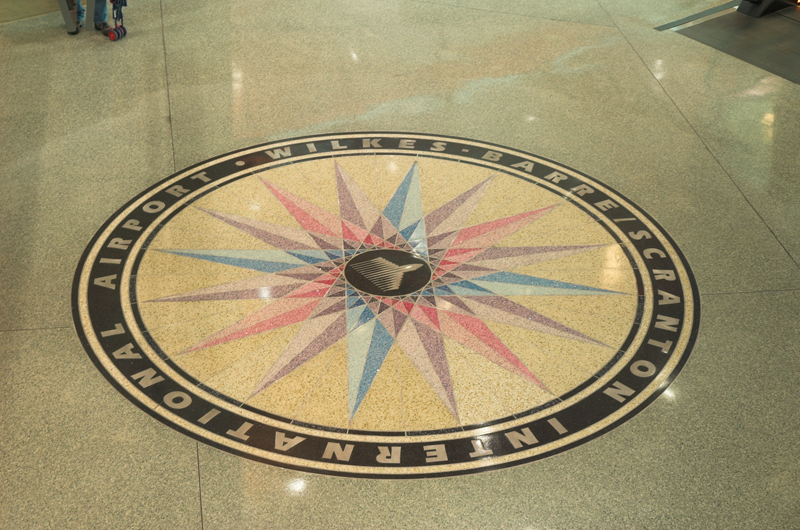 The new terminal building replaced the existing terminal, which was built in 1954 and renovated in 1980 and 1990. The terminal and accompanying apron are the final parts of the airport expansion. There is now a new 246,800-square-foot, four-level parking garage and new parking lots with a pedestrian tunnel that connects the parking garage and lots with the new terminal.